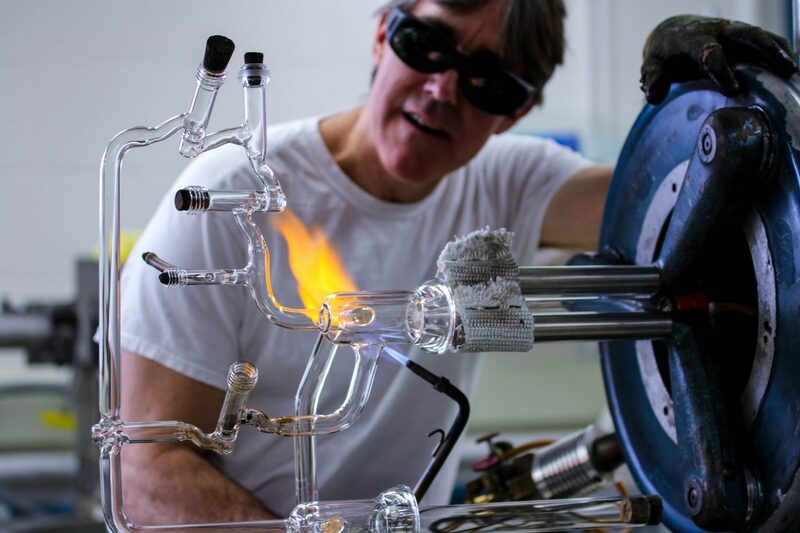 The University of Wisconsin–Madison’s master glassblower, Tracy Drier, is displaying his craft at the Madison Children’s Museum in an exhibit titled The Crossroads of Art & Science. 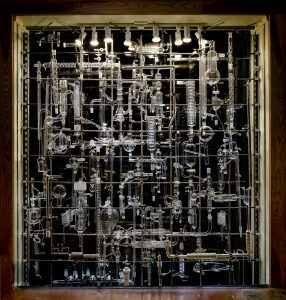 The exhibit, on display through summer, is a compilation of glassware that Drier has made over time, each separate piece taking anywhere from 15 minutes to five days to make. Drier, a scientific glassblower for the chemistry department, wants to increase interest in scientific glassblowing as a career choice by demonstrating the precision and artistry involved in constructing these delicate, almost ice-like glass instruments. 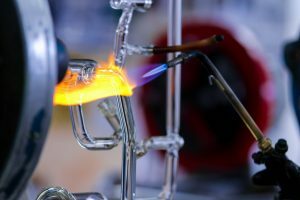 Because there is a shortage of professional glassblowers, most people who complete the two-year associate degree program easily find employment. An in-house scientific glassblower is an indispensable resource to large research institutions like UW–Madison. 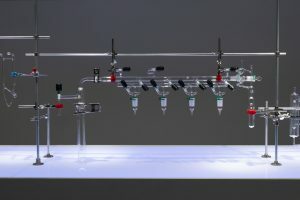 Not only do they create glassware customized to chemists’ specific experiments, but they can also quickly repair broken pieces of equipment, saving researchers the time and money they would have spent ordering a new piece by mail. Working with Drier in person helps researchers communicate exactly what they need, something that’s much more difficult to do when ordering by mail. Along with seven other glassblowers from around the country, Drier also recently had a glass apparatus on display in Brooklyn, New York, at the glass studio UrbanGlass. He hopes that these exhibits inspire people to take up his craft. The Madison Children’s Museum is located at 100 N. Hamilton St. and is open from 9:30 a.m. to 5 p.m. Tuesday through Sunday.